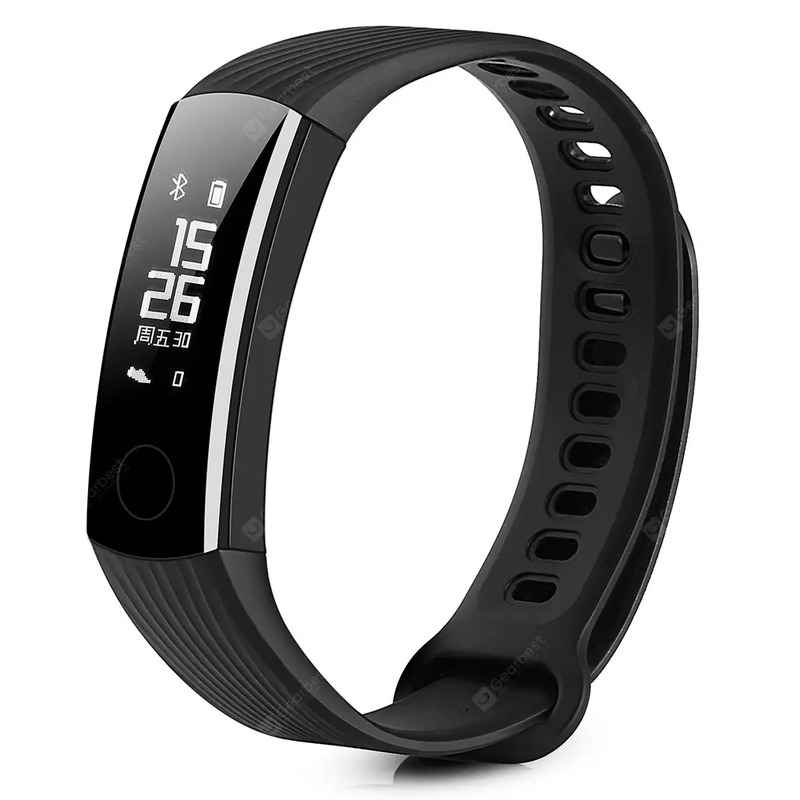 HUAWEI Honor Band 3 Smartband - BLACK w cenie $26.99 | Chińskie kupony rabatowe, zniżki i okazje! HUAWEI Honor Band 3 smart bracelet is a device that makes you live in healthier and more intelligent lifestyle. It helps to monitor basic physical indicators like sleep quality that you can know your body condition better. It tracks steps and shows you how you’re stacking up against your daily goals. Besides, you can share your data on Facebook and Twitter, which may encourage you and your friends to do exercise and raise interest in sports.